You have spent a fortune for the interiors or make-over of your house and turned it into a dream home. Your planning and hard-work is fairly appreciated and now you feel good about yourself and proud of taking this huge step. It is like living your dream every single day. However, you know that home is a continuously evolving process and not a stagnant one. You need not spend exorbitantly every season. You can rather pair up your large investments with small investments or Do It Yourself (DIY) stuff for a much needed change. This will make your home vivid and more vibrant apart from emotional contentment. So, how can you give your home a fresh look every season.!!?? Well it’s quite easy to answer. 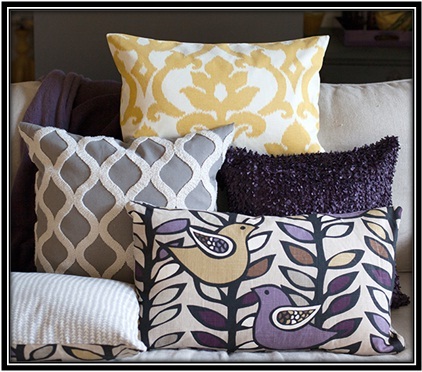 Change the cushions and fabric of your sofa; change the color of the walls or its time to take out new cutlery. These are just a few random ideas which are not expensive at all and easy to do as well. So we have a list of must have home wares that you use this season without spending big bucks and keep your home updated with the latest trend in home décor. 1. Café Chairs – having a few café chairs will give a casual and trendy feel to your kitchen or living room. And wooden, rustic chairs top the chart in this category. 2. 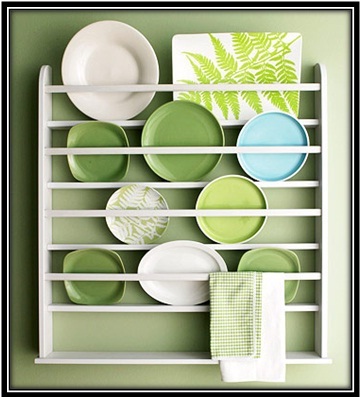 Plate Rack – a Do It Yourself (DIY) wooden plate rack for your kitchen is the right thing to do this season. You can hang it on the wall next to your refrigerator. 3. Crockery – it is time to get that crockery from the store room. Remove the dust, wash all of it and arrange it on a plate rack you created. 4. Mirror – an absolutely charming and dainty mirror with a rustic frame can give a different look to your bathroom. I know guests won’t notice it, but am sure as hell you would every day and feel good about it. 5. Vase – how about a vase!!! Deck it up with artificial or natural flowers. You can even decorate the vase and showcase your skills. Plus a vase with flowers can anytime brighten your room or living room or kitchen table. 6. Wall Hangings – wall hangings in the form of pictures or quotes. If you haven’t tried it yet, it is about time to get some art on the walls. Put up pictures clicked by you (doesn’t matter if they are old). 7. Cup and Saucer – well who wouldn’t need this!! You are your frequently visiting guests must be bored of the monotonous cup and saucer you pour tea or coffee into. Well, not anymore. Buy a set of trendy or colorful or a simple single colored (depending on your taste) cup and saucer. 8. Cushion, Fabric, Bed-sheet, Curtains – change the look and feel of your bedroom, living room by changing the cushions covers, sofa fabric, bed-sheets and curtains. Use colors and patterns that complement the existing set-up. We hope you give a fresh look to the nook and corners of your home this season and add on to the magnificence of your dream home.